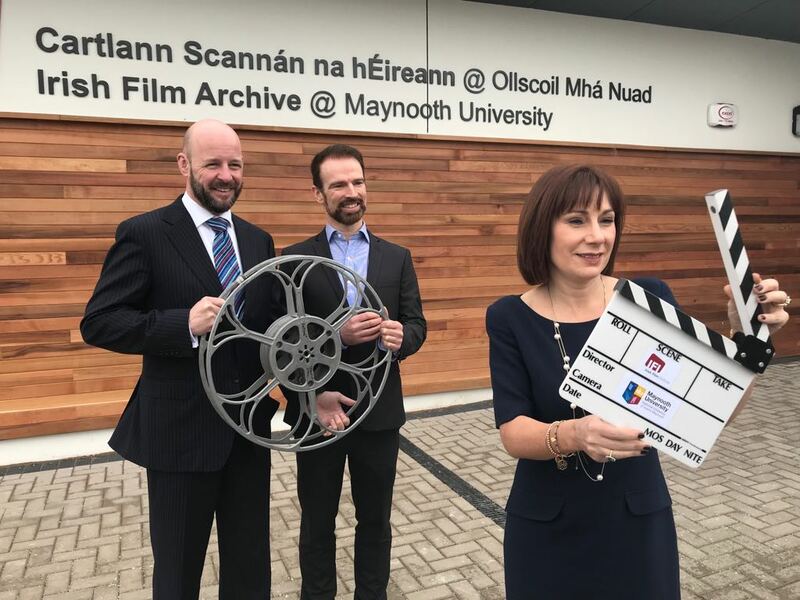 March 9th 2018: The Irish Film Institute and Maynooth University are proud to announce the opening of the IFI Irish Film Archive @ Maynooth University, a new purpose-built moving image preservation facility at Maynooth University, launched today by Josepha Madigan T.D., Minister of Culture, Heritage and the Gaeltacht. The largest facility of its kind in Ireland, this state-of-the-art building triples the IFI Irish Film Archive’s current storage capacity, thereby ensuring the preservation of Ireland’s national film heritage for generations to come. Films from directors including John Huston, Neil Jordan, Jim Sheridan, Lenny Abrahamson, Mary McGuckian, Pat Murphy, Aisling Walsh, George Morrison, Paddy Breathnach, Bob Quinn, Louis Marcus, Joe Comerford and Alan Parker amongst many others will be stored at the facility as part of the Institute’s collections, plus a large number of amateur films from the IFI Film Archive’s vast repository. 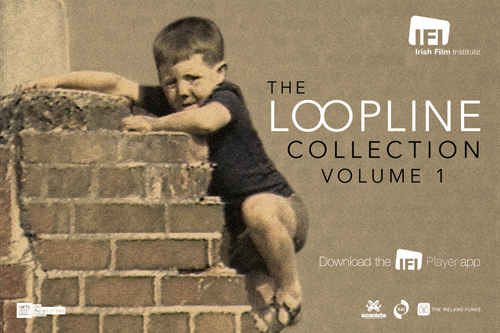 In November 2011, the IFI officially launched the IFI Irish Film Archive Preservation Fund after its archive building in Temple Bar reached capacity. Through this innovative partnership with Maynooth University and support from the Department of Culture, Heritage and the Gaeltacht, Maynooth University, the Irish Film Board, and the Broadcasting Authority of Ireland, the IFI Irish Film Archive @ Maynooth University has come to fruition. Measuring 180 sq m (1,900 sq ft), the facility contains 120 sq m (1,300 sq ft) of climate-controlled vault space to help house part of the IFI Irish Film Archive’s vast collection of 30,000 cans of film dating from 1897. Maynooth University and the IFI also have initiated a new academic partnership that uses the archive as a teaching and research resource. 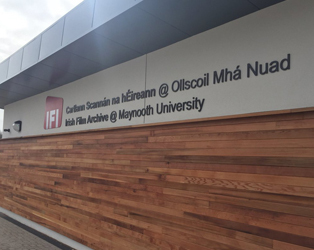 Students in MU’s Master’s in Critical and Creative Media course (Department of Media Studies) have the opportunity to take a module in Media Archives that is co-taught by IFI’s Kasandra O’Connell and Maynooth’s Dr Denis Condon and Prof Maria Pramaggiore, also an IFI Council Member. To ensure optimum storage conditions for the films stored in the vaults, the temperature in the vault will be lowered to 4°C while the Relative Humidity will be maintained at 35%. The research and preservation space will contain viewing and winder facilities for all film formats including 8mm, Super8mm, 16mm, 35mm film, and will contain 16mm and 35mm Steenbeck flatbed editing tables. For further information, images, or interview availability, please contact Stephen Boylan, IFI Press and Marketing Manager, at 01-6795744 or at sboylan@irishfilm.ie.